Medical Properties Trust, headquartered in Birmingham, knows the importance of healthcare, not just in our community, but everywhere. They work hard to bridge the gap between the growing demand for high-quality healthcare and the ability to deliver it in a cost-effective manner. They also have firsthand knowledge of the high demand for pediatric healthcare and the need for family-centered care at pediatric specialty centers. 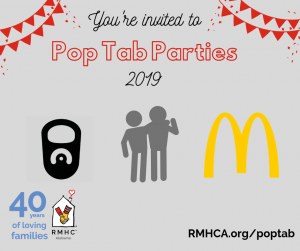 The Ronald McDonald House provides a key component of that family-centered care offering convenient access to medical facilities when and where it is needed most. Medical Properties Trust has pledged $500,000 toward the Healing Together campaign and commemorated the new wing’s 2nd floor and the Residents’ Main Dining Room. Common areas, like the Residents’ Dining Room, are critically important for the families. 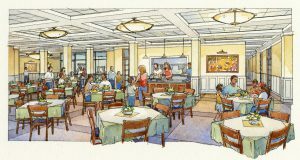 Medical Properties Trust’s gift will allow the new dining room to accommodate the additional families while still incorporating the family style atmosphere that is so loved in our current dining room. And of course, the primary benefit of the expansion is the growth of guest rooms from the current number of 41 to a total of 73.